If you live in MN and you want to use one of these sites to find your next home, you should know that approximately 20% of the homes for sale are not being shown to you. Because these sites are riddled with data inaccuracies, Edina Realty decided to pull their listings from these third party aggregators. This is a growing trend nationally on the part of real estate brokerages to ensure that their listings are handled in accordance with their code of ethics and respective state laws. Personally, I’m a big fan of this decision and hope that many more brokerages follow suit but like it or not, Edina Realty’s decision effectively makes it impossible for a Minnesota home buyer to use these sites to find their home since they currently hold 21.5% of the Minnesota and western Wisconsin market share. With that big of a footprint, there’s just too much missing from these third party aggregator sites to make them meaningful in any way to local homebuyer. Don’t believe me? Find an Edina Realty listing on one of their agents’ site and then type in that address to Zillow. You’ll be given an estimate of value and a notice to “get e-mailed when similar homes come up for sale.” Worthless. The only home finding websites that work in MN anymore are the Broker Reciprocity websites. Broker Reciprocity is a business program where brokers grant each other permission to display their listings on each other’s’ web sites. Brokers who participate in the program can display all active listings of all participating members of the program. If a broker chooses not to participate, no other broker will be permitted to display that brokers listings. In my opinion, the best of these websites are provided on some agents’ personal websites using Diverse Solutions and dsiDXpress. The best of the home finding websites, in my opinion, is typically an invite only offering called the Home Buyers Scouting Report® provided by HBM II, a licensed national real estate brokerage service company. The FREE home finding service is provided directly to homebuyers by HBM II and its real estate brokers, as part of their ordinary real estate brokerage services. HBM II, Inc. works cooperatively with other real estate agents across the United States. You can take the Home Buyers Scouting Report® for a spin by clicking here: www.saintpaulhomesearch.com. 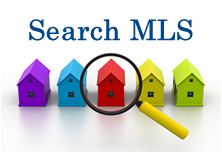 Only a very small percentage of homebuyers do not use the internet to assist in finding their next home. In Minnesota, it’s imperative that the website that you use has the data and tools that you need to find what you’re looking for and make an informed decision. Stay close to the Realtors’ sites and away from third party aggregator sites or you’ll be taking an enormous financial and personal risk.